Huge Savings Item! 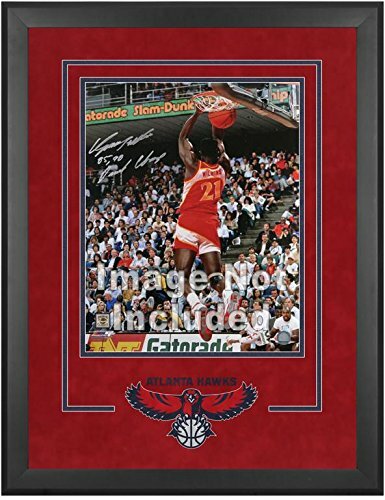 Save 17% on the Atlanta Hawks Deluxe 16'' x 20'' Frame - Fanatics Authentic Certified - NBA Other Display Cases by Sports Memorabilia at Basket Express. MPN: ZFR6KVHAWK. Hurry! Limited time offer. Offer valid only while supplies last. A collectible photo shouldn't be left out in the open. Display it and protect it in style with this Fanatics Authentic® NBA deluxe 16'' x 20'' frame. A collectible photo shouldn't be left out in the open. Display it and protect it in style with this Fanatics Authentic® NBA deluxe 16" x 20" frame. The wood construction allows for long-lasting durability, while the back opens for quick and easy access. It also features a laser-cut team logo and double-matting.